Place was great with solid location for a stay in the woods with the town a short drive away and walkable to lift. Well furnished and stocked. Incredibly responsive host. Amazing hottub. Amazing house withe everything you need and more. Super close to everything. Thank you! We are glad you enjoyed your stay and we hope you stay with us again. My family and I had a great time staying here while visiting the beautiful lake. We stayed in this cabin with 8 girls and it fit all of us nicely. It has a nice living room area with huge comfortable chairs and couches for everyone to hang out in. 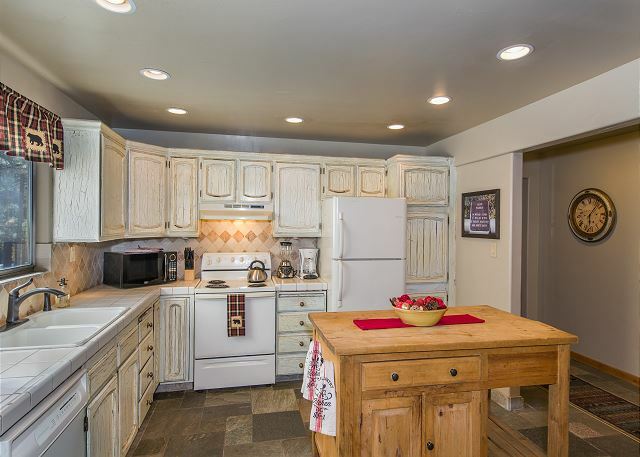 The kitchen area is small but it works for making breakfast and small meals. The cabin was stocked with cookware. The showers were nice upstairs but make sure only 2 people are showering at once or the water gets cold. We did not use the hot tub but we did sit on the back porch for a bit, it was shaded so we did not stay out there too long. Really nice neighborhood to go on walks and enjoy the outdoors in. The cabin itself was very rustic and felt very cabin like. We really enjoyed staying in the cabin it was cozy! Thank you for the notes, we appreciate it and we are glad you enjoyed your visit to Lake Tahoe. 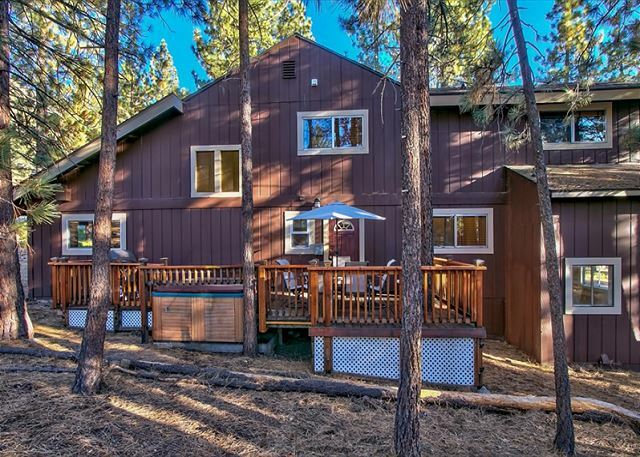 Our family of 7 adults, 2 teenagers and 2 dogs enjoyed a wonderful vacation at this Heavenly Mountain Home. The well stocked kitchen was the perfect place for us to gather and make meals. The living room was very large and accommodated our activities around the fireplace. The pool table provided fun times, especially when it was cool outside. We were able to walk downtown, enjoy the hot tub, saw bears and a wolf nearby. It was clean and everything was as advertised. We'd definitely recommend to others. Thank you for the feedback and we are glad the family had a good time. Yes we definitely see bears in that neighborhood. 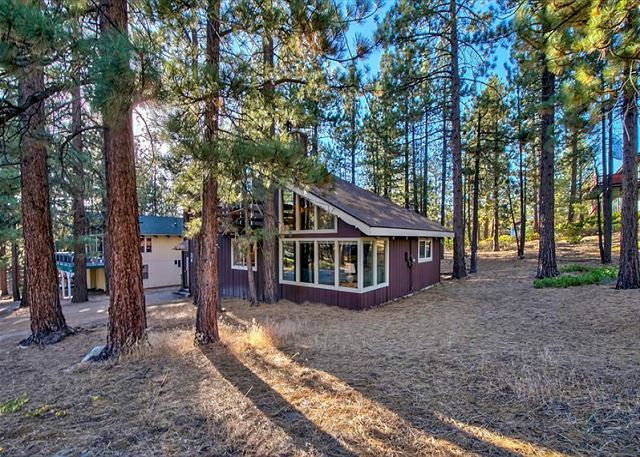 We rented the cabin for a family stay that included grown children and grandchildren while at a greater family reunion in the area. We had a wonderful time with the amenities since while we were there 32" of snow fell! 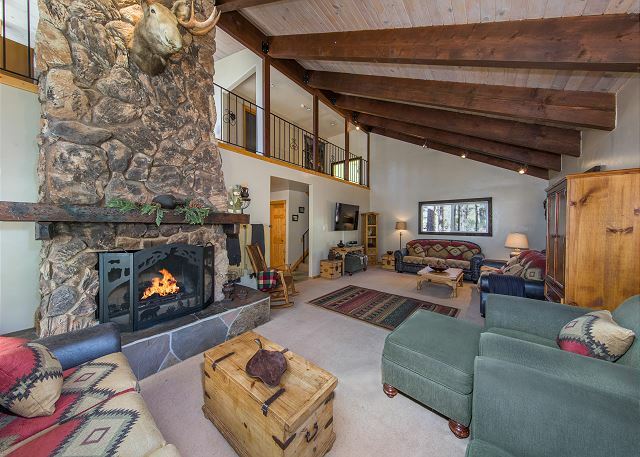 The large living area, pool table, hot tub, and fireplace all got a workout. It was a real money saver to be able to cook our meals in the well equipped kitchen instead of eating out in restaurants the entire time. Much easier to handle the younger children, too. I would recommend this house as a comfortable place to stay. 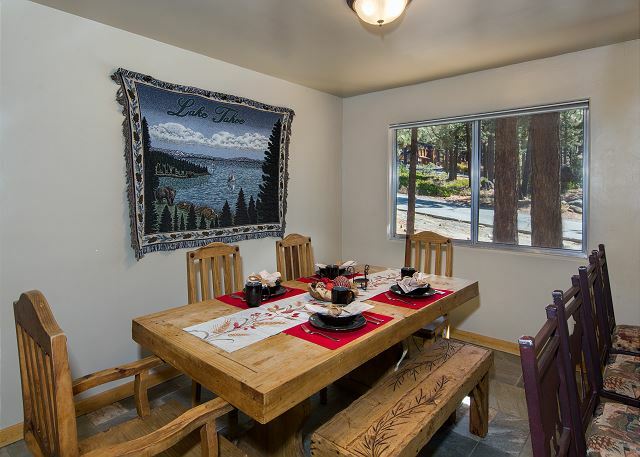 Thank you, we are glad you had a good time with the family, that is what Tahoe vacation rental stays are all about. So happy we chose this house for our little ski weekend. It really was outstanding. Just a 10-15 minute walk to the California Lodge and lifts, which was a HUGE plus because there was so much snow we couldn't move the cars!! House is on a dead-end street, so low priority for the plows, and with a steep-ish grade it can be challenging to drive... so so plan accordingly if there is heavy snow. 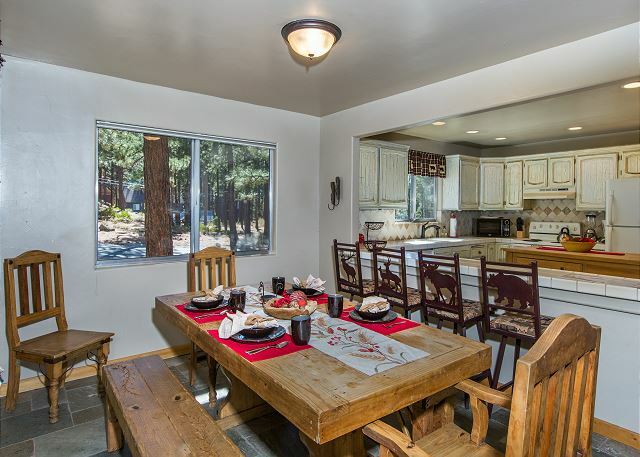 Love the hot tub, fire place, spacious living room and the kitchen is very well appointed. No complaints from us at all, we had a BLAST and cannot wait to go back. We would definitely rent a Pinnacle property again, very courteous and professional throughout. Thank you, the snow this weekend was great-but the plows did have a hard time keeping up! Unfortunately,the snow was not there from January 1st to January 5th,but we really enjoyed our stay with friends.The chalet is perfect for a big group and well decorated, very chalet feeling.The beds were just need a good spider web cleaning.We found that the rules were very strict for rental if we compare rental in Europe. We own and rent a ski place in Switzerland and there are not so many rules , the neighborhood watch made us feel observed.We were not allowed to make noice or have a party after 10pm but we heard people shouting close to us pass 1 in the morning. We skied only a half day,Heavenly is beautiful but very pricey.They could offer discount since their trails were not all open and very limited. 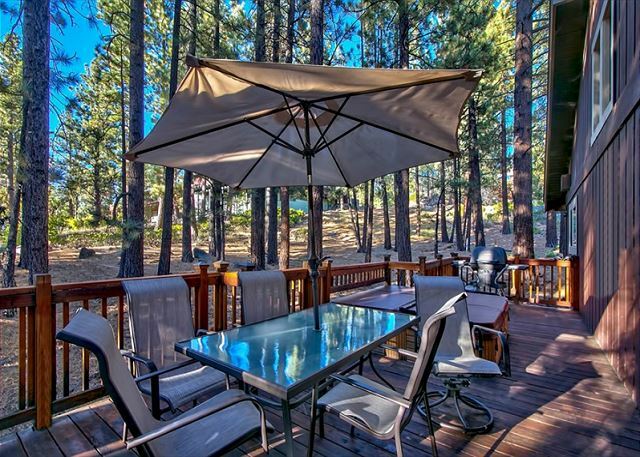 Unfortunately with groups trying to ban vacation rentals in South Lake Tahoe we have to enforce the strict rules or our homeowners may lose their permit to vacation rent their home. Yes Tahoe needs more snow this year! There was a group of 10 of us up for a long weekend. The place was very clean and the customer care was amazing. 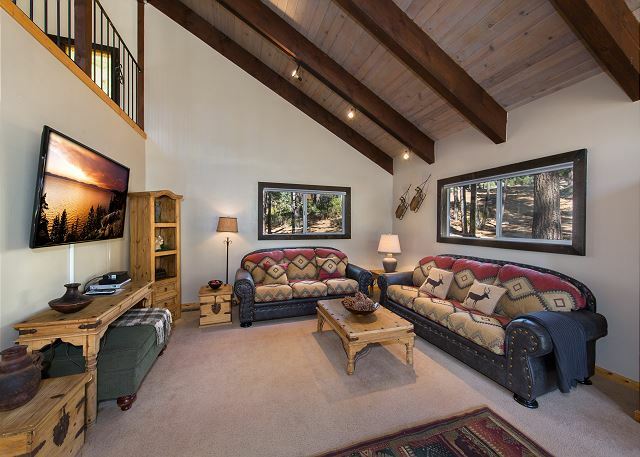 This place is definitely big enough to fit 10-12 people comfortably and plenty of room for entertaining. Only criticisms I have for the place is that the upstairs fireplace did not work and the repairmen could not fix it. Also the hot tub water was rather dirty during our stay. Other than those two things we had an amazing stay and the property managers were always available for anything we needed. I apologize about the hot tub, it is a new tub and is serviced regularly. and yes those older gas inserts are a bit challenging. 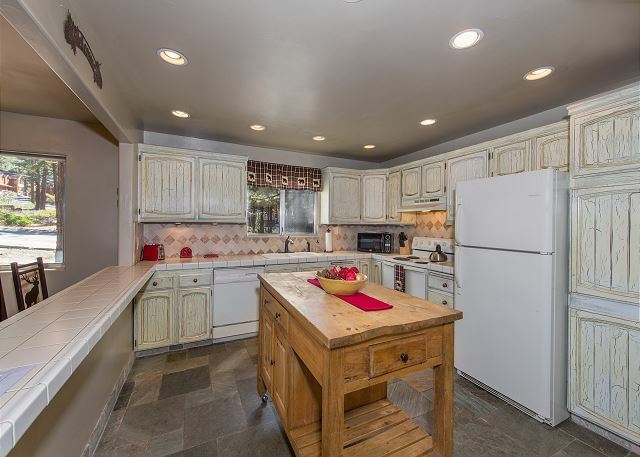 fabulous large home with well stocked kitchen. Space was nice and open, nice neighborhood. Some cobwebs and a mouse ( we are in the woods) but overall very clean. I am sorry about the mouse, Tahoe had an absolute mouse invasion this year, every home had mice--due to our extremely wet winter (great snow leads to some problems). 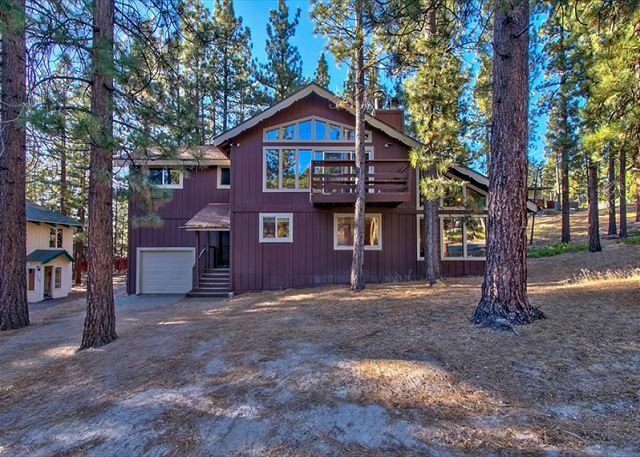 This house was exactly what we were looking for as it is close to South Lake Tahoe where all the casinos are and it is close to the beach and some great hikes. One thing that I did miss when booking this house is that it doesn't have A/C. It wasn't a huge issue for us except when we first got was 80 degrees inside upon arrival because all the windows were closed. The nights were a bit warmer than I would have liked but there were fans in the closets that came in handy in the evening. Overall it was a great house with plenty of space and we did enjoy our stay. 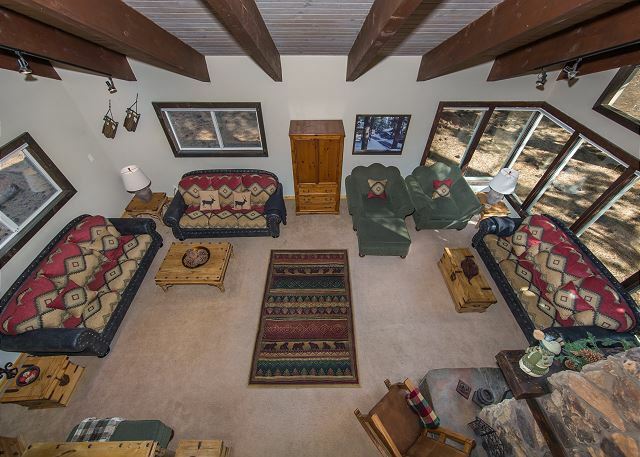 This house was clean and comfortable, could use a few ceiling fans. Management was great , had one small issue and it was taken care of timely. We really enjoyed our stay in this beautiful home. This house is close to heavenly village which was very convenient for us. It's perfect kids friendly house. This house had all the things on our checklist. 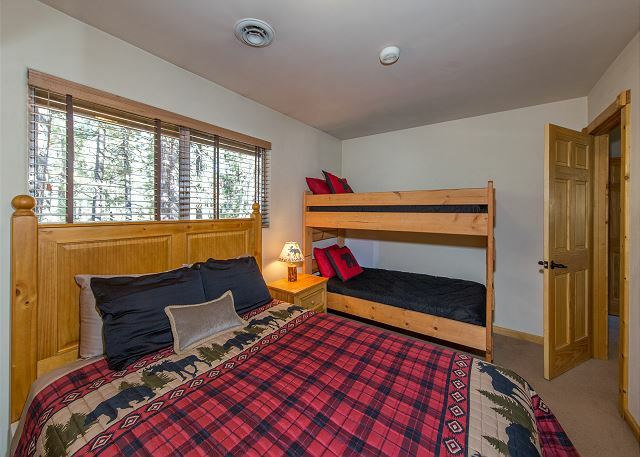 We were looking for a house with hot tub, kids playroom, atleast 1 bedroom with a bunk bed and a specious living room with lots of seating for a big family gathering. This house has everything. I and the 8 other guys staying here had an amazing weekend. Plenty of space, the perfect number of beds, an awesome pool room, jacuzzi, and an amazing great room for everyone to congregate and enjoy each other's company. 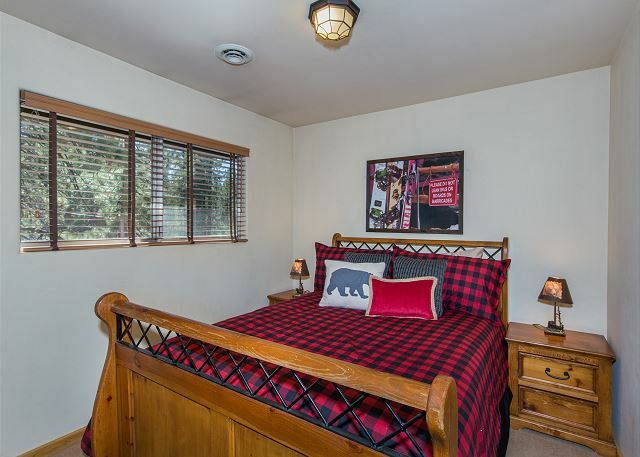 Easily within walking distance (or a quick Uber ride) to shopping, bars, and restaurants. Quiet community with friendly neighbors. Will definitely stay here again in the future! 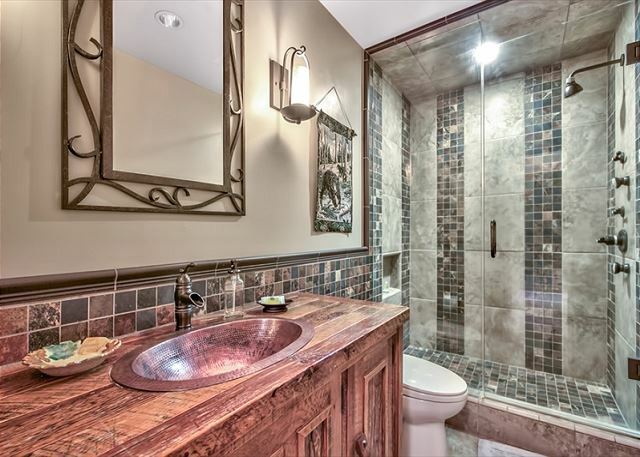 This was a quaint place, old-school style but with upgraded amenities. 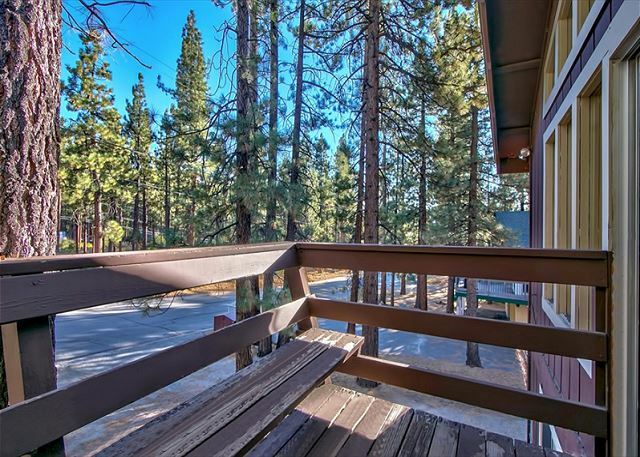 The location is perfect as it is just down the street from the slopes of Heavenly and a very short car ride to the casinos (you can take backroads to avoid the traffic). Great place for kids and dogs (had both during stay) as it is on dead-end street and there is lots of open space/woods to play and walk. Very quiet, neighbors were friendly. 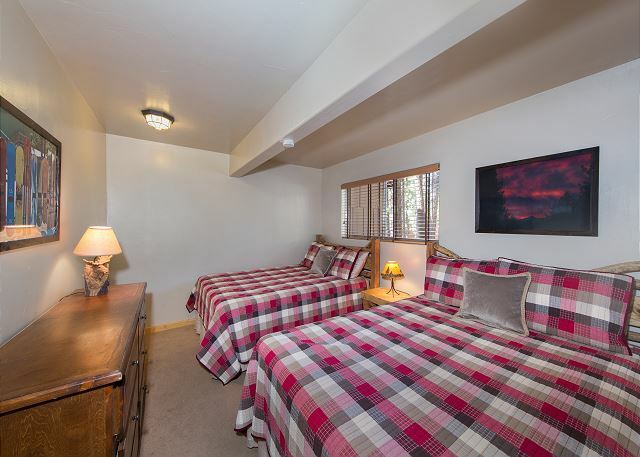 (permanent residents) The set-up is nice, 2 double beds down stairs with a walk-in shower, as I had my elderly parents and stairs are difficult, so that was perfect. 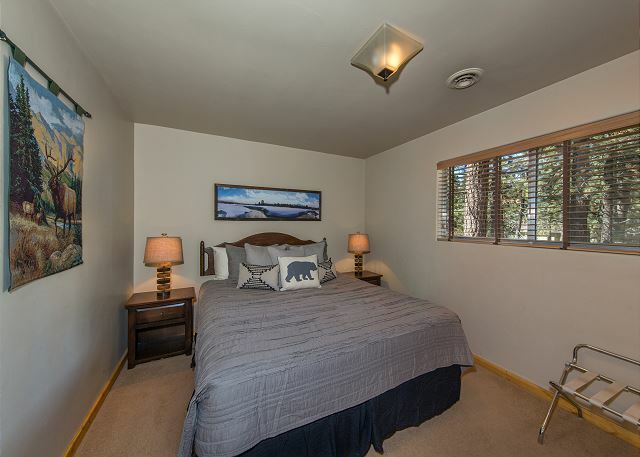 Upstairs a master bedroom with full bath and walk-in shower as well. 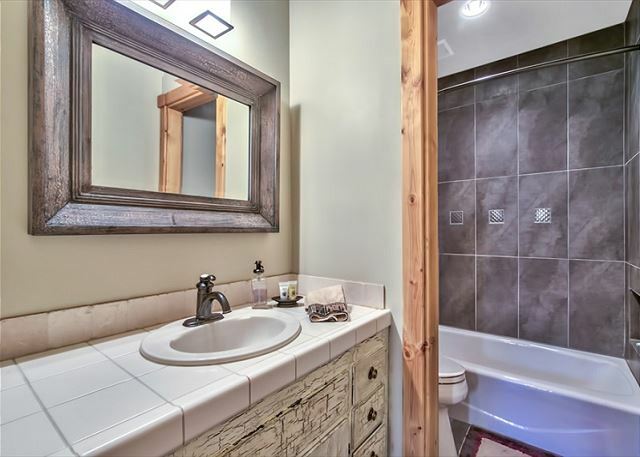 Another bedroom with a queen and another bedroom with a queen and bunk beds plus a bathroom with a tub, so no worries about a shortage of bathrooms! 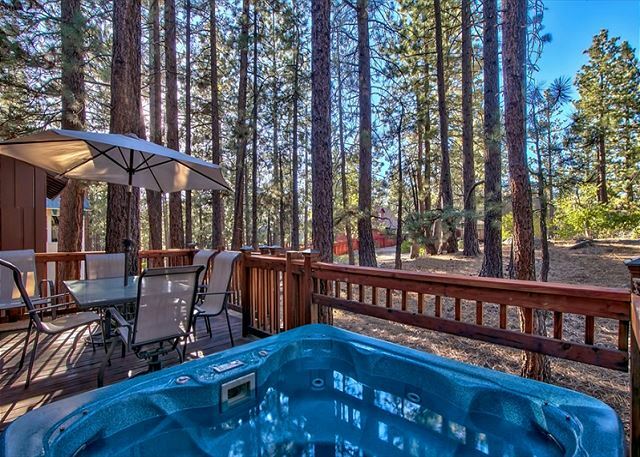 Hot tub looks out at the forest and the fireplace is nice and cozy....there is also forced air heating. 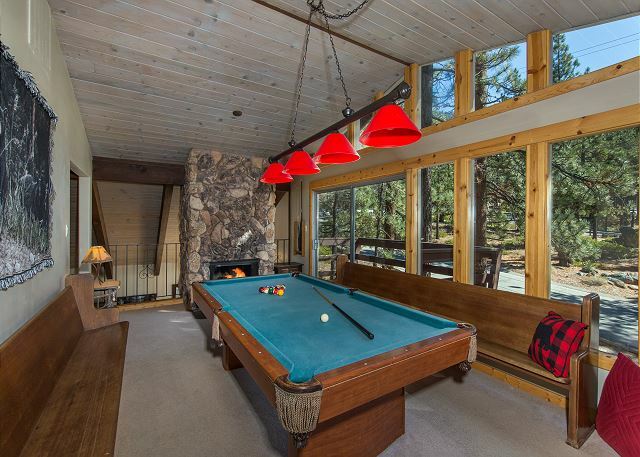 Pool table, large screen TV basically everything you could want. BBQ needs to be cleaned but everything else was very clean. We loved our cabin! It was perfect for our family. Everything was good with a couple of exceptions. The hot tub was really dirty. We cleaned the filter because it was gummed up with hair and scum. Didn't look like it is being taken care of much. Also, the upstairs balcony had a lot of cigarette butts and some beer bottles. We left them so you could see. The glass in the stairwell window has a crack. I suppose its difficult to monitor that all your guests are following the rules but the place reeked of cigarette smoke when we walked in. I don't like to complain but these are things that I would like to know if it were my place and I was relying on a service to take care of these things. All in all we had a great time and are hoping to come back again. Loved the décor!! Thank you so much for the notes, I wish you had called we would have sent someone out to check the hot tub immediately. We appreciate the feedback and will share with all our crew to improve the next guests stay. We have hired new hot tub technicians. Fun Family Weekend - Best snow in years!! Great home and location. It was perfect for our large group of 8 adults. There was plenty of space for everyone and we really appreciated having 3 bathrooms. Kitchen is fully stocked. Beds and furniture were very comfortable. But garbage bin was already full from the people ahead of us, so perhaps pick up 2 times a week. 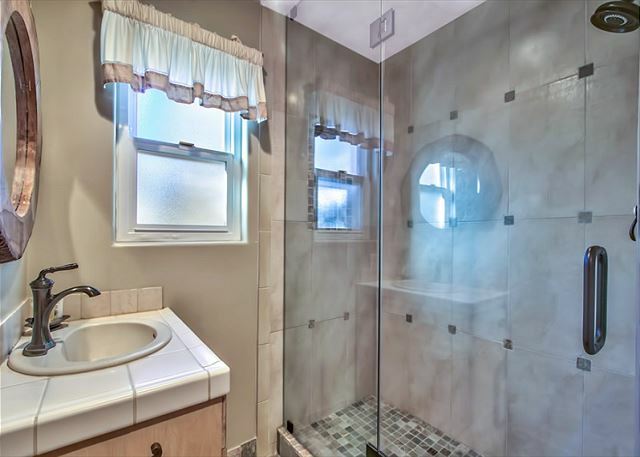 Also we were very disappointed that the hot tub water was dirty and low, since we booked this house intending to use it after skiing and the fireplace by the pool table did not work. Although the living room fireplace did work and was wonderful. The main room has a really relaxing, and an enjoyable vibe to it. Huge big screen TV on 1 side and the other side was great for some family games and quality time. We really enjoyed our stay and didn't want to leave! We would rent this home again in the future.